Local organic fruits and vegetables taste better, are better for your health, and are better for our planet. 1900 Alhambra Blvd at S St.
Farmers’ Markets: The Sacramento area is blessed with many Farmers’ Markets. 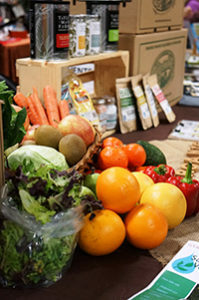 To find the Certified Farmers’ Market closest to you, visit http://www.cafarmersmarkets.com/index.cfm. Community Supported Agriculture (CSA): In addition, you can support a local family farm by signing up for the CSA program. Each week, you will receive a wonderful box of organic produce.